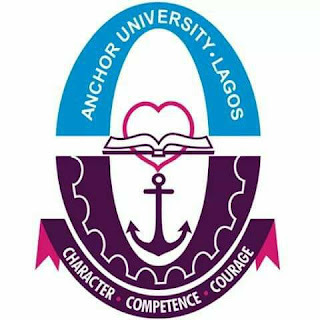 Anchor University, Lagos Undergraduates [UTME and Direct Entry], Transfer Students Admission Form, Courses, Admission Requirements, Application Guidelines and Screening Fee, Dates, Requirements and Locations for the 2018/2019 Academic Session. 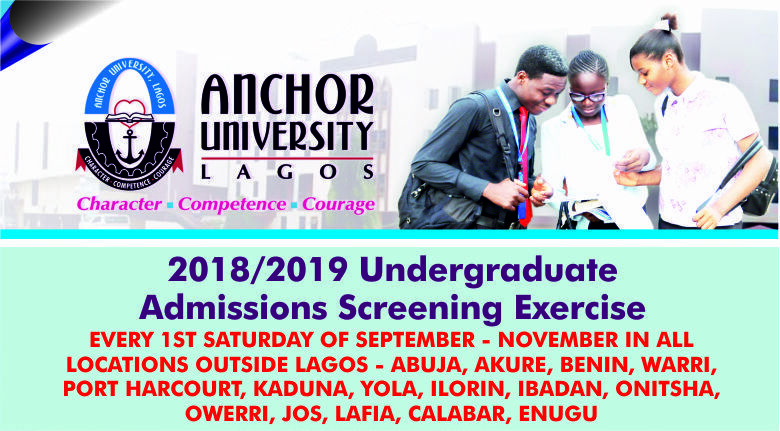 Applications are invited from suitably qualified candidates who sat for the 2018 Unified Tertiary Matriculation Examination [UTME] and Directs Entry applicants for admission into the Anchor University, Lagos new and existing programmes for the 2018/2019 academic session. 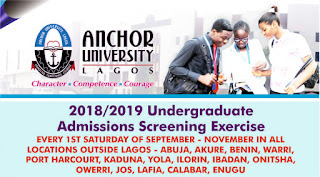 Get Admission into 200 Level for any of our programmes through Direct Entry. Opportunities are also open to Transfer Students from other universities. Students with OND, Advanced Level Certificate, JUPEB Certificate, NCE Certificate & other equivalent Certificate are qualified to apply. Note: This is exclusively for screening fee. Other payments made into this account are not valid! a. Anchor University, Ipaja Ayobo Road, Lagos. b. Deeper Life High School, Along Water park, Kado Estate, Abuja. c. Deeper Life High School Port-Harcourt- Rumuokparali Road, Ozuoba, Port-Harcourt. e. Deeper Life High School Benin- Deeper Life Road, Ugbighoko, Benin City, Edo State. f. Deeper Life High School, Along Ave Obasima Road, Off Port Harcourt Road, Owerri, Imo State. N.B: Parents are strongly advised not to make payment into any individual account.